We’re only a few short days away from CHAMPION, the last book in the LEGEND trilogy! But after we’ve all read CHAMPION, we can start preparing for Marie Lu’s next series, THE YOUNG ELITES! 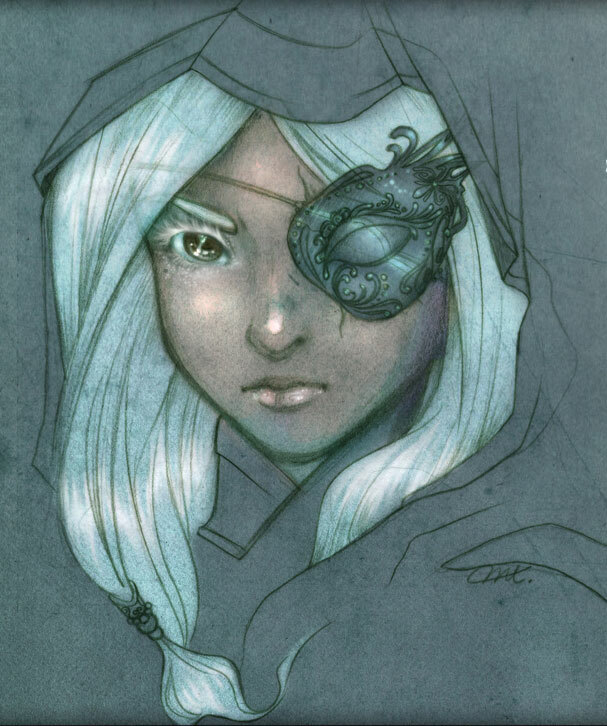 Thankfully, Marie Lu is getting us ready with more brilliant character sketches. Yes, the character most prominently featured is a male! Marie Lu describes him on Twitter as a “blatantly pretty boy”. 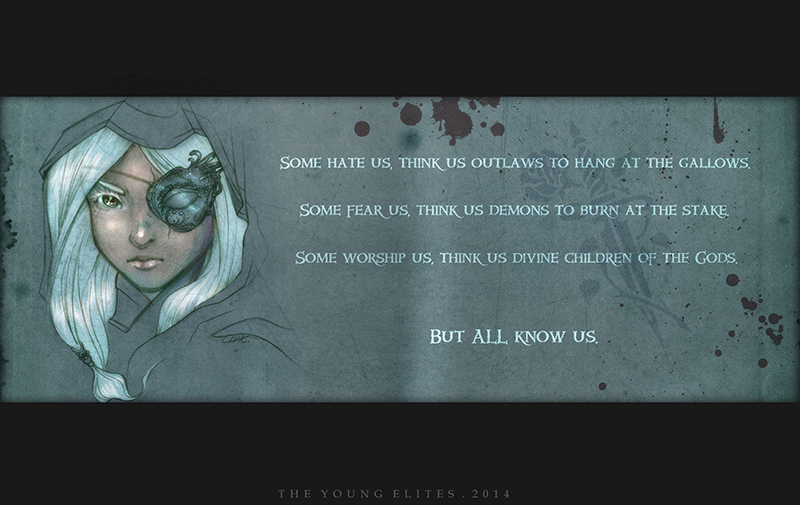 You can find out more about THE YOUNG ELITES on Goodreads. 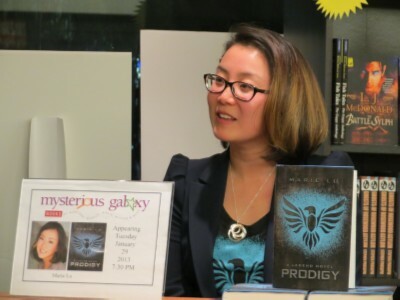 During my stay at Comic-Con, I opted not to go to Hall H on Sunday, which pretty much gave me more freedom with my schedule, and thus I was able to set up an interview with the wonderfully talented author (and artist) Marie Lu. Despite not being able to sit down and find a quiet place to talk, and being pretty much forced to stand in the middle of a crowded hallway during the interview, she was super gracious to give me a few minutes of her time to answer some questions about the Legend series and even some questions about her next series after Legend. But before we did, I also got to fangirl a bit with her, since she got to see uber handsome Henry Cavill in person as he made an appearance at the Hard Rock Hotel on Saturday night, which you can see below. 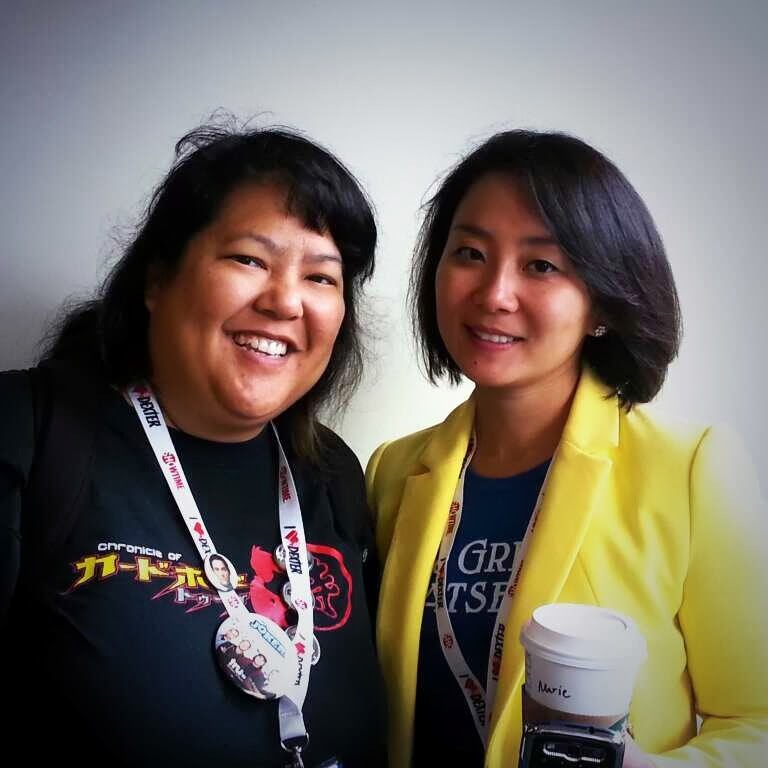 So, really, I was honored to spend time with this person who got to be in the same room as Mr. Cavill and Mr. Hiddleston. It looks to be another excellent and exciting trilogy, which no doubt with entice readers to continue following Marie’s writing. In the meantime, we’ll just continue to wait (im)patiently for the third book to find out what will become of our Day and June.